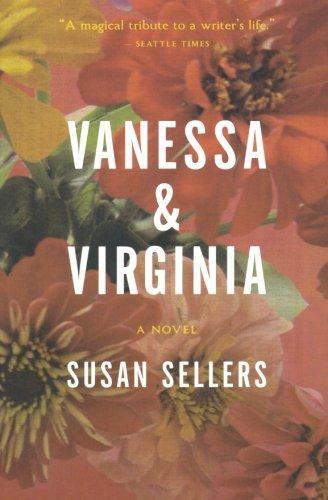 In this lyrical, impressionistic account, written as a love letter and an elegy from Vanessa to Virginia, Sellers imagines her way into the heart of the lifelong relationship between the writer Virginia Woolf and the painter Vanessa Bell. With sensitivity and fidelity to what is known of both lives, Sellers has created a powerful portrait of sibling rivalry. SUSAN SELLERS is a professor of English at St. Andrews University in Scotland and coeditor of the Cambridge University Press edition of Virginia Woolf’s works. She is a past recipient of the Cannongate Prize for new writing and is the author of many short stories and nonfiction books. This is her first novel. In the novel’s opening pages, Vanessa writes, “You are my natural ally in my dealings with the world” (p. 5). What do we consider “natural” between siblings? How are sibling alliances different from those between friends, parents, or spouses? Think about your relationship with your siblings, if you have any. Do you feel that they are your natural allies? Why or why not? If you don’t have any siblings, are you envious of the sibling bond? On page 7, Virginia comes to Vanessa’s rescue, as she puts it, during their lesson. How does Virginia’s “saving” Vanessa simultaneously undermine her? Can you find examples of similar actions between the sisters elsewhere in the book? “For all your affected disdain, it is my art that is showing you the way” (p. 56). What does Vanessa mean by this? When Vanessa reads Virginia’s first novel, she feels violated: “This is not literature; it is mere journalism.” How much license should writers have to write about their friends and family? What do you think of Vanessa’s evaluation of The Voyage Out, Virginia Woolf’s first novel? What role does mental illness play in the novel and in the lives of these women? Do you believe their “madness” or depression (are they the same thing?) is hereditary? How do their mental illnesses manifest differently? Some people think there is a link between artistic ability and madness; do you agree? When Vanessa is bemoaning the “mess” of her adult life, Virginia says, “You hold the light. Then there are lonely moths like me circling the lamp, searching for a way in” (p. 166). What do you think of this characterization of Vanessa and Virginia? If what Virginia says is true, does the book seem to favor one kind of personality over the other? Does it imply that one kind of personality is better at making art? “The world is a work of art . . . and though there is no God, we are parts of the design” (p. 199). Does this make sense to you? Do you find it comforting? On page 205, Vanessa says, “I have to tell you that I cannot be held to a promise I made when the circumstances of my life were very different.” What promise is she referring to? Do you agree with her statement? Can our promises change with the circumstances?